I have made a few other patchworky things in the past so I'm not completely a beginner, but never a quilt. I'm planning to turn these blocks into a mini quilt for the wall in my dining room (when it is eventually finished, damn leaky roof!). 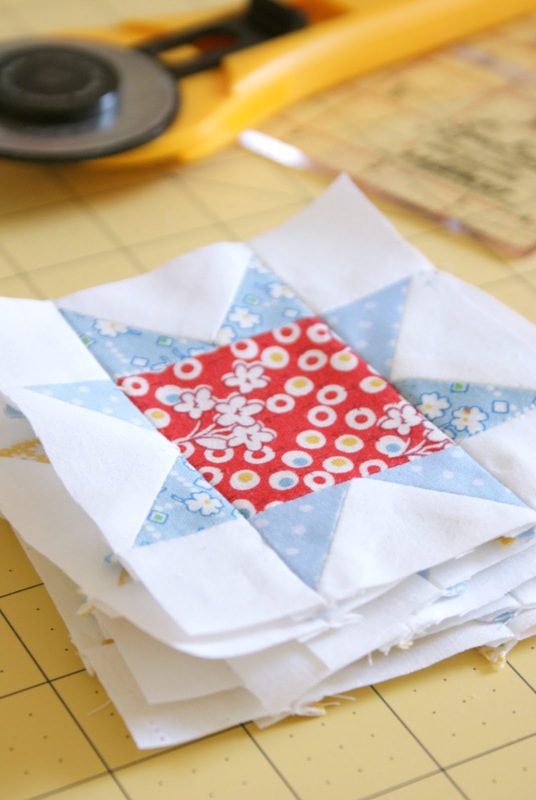 I am using a fantastic tutorial via the thought and found blog, she explains it all in a very simple way, with lots of pictures and gives you measurements to make the block in three different sizes - I'm using the smallest 4" size for my mini. EEEKKK! They are SO cute and the fabrics you chose are fantastic! I'm scheming to have a mini quilt wall too. :) They look perfect to me! They look wonderful. Love the fabric combinations and I'm only a beginner quilter too, but these look pretty perfect to me! Your blocks lot great, Jesse. It's hard to tell you are a first time quilter. I went back a few posts and your Market bag is so cute. I love the zipper pocket. Those potholders are cute too. I am going to check out your tutorials on Pinterest. Thanks for visiting my blog. Hope to see you there again. I will be back to visit you too. Look at you! They look wonderful. I think five rows of three will work nicely. I can't wait to see them all come together. And I'm so happy that you are experiencing the satisfaction of seeing them come together. Isn't it a great feeling? They look great! Im planning on starting my first quilt (perhaps today) using just very plain and easy squares, although i might throw in one of these to vamp things up. Really like your choice of colors, you seem to have an eye for it. They look pretty perfect to me! I'm inspired... 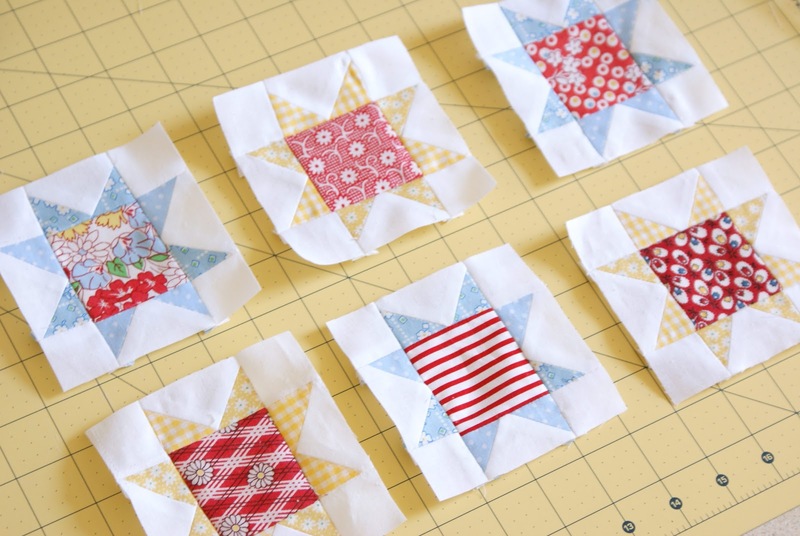 I've been wanting to try a star block and yours look SO cute I'm going to have to do one now! How cute! I'm about to venture into the world of Sawtooth Stars for a Christmas gift. This gives me inspiration! I'll be posting it to my blog when it's finished.